To contribute to development needs of Commonwealth countries by providing training for skilled and qualified professionals and academics, and to contribute to UK higher education and foreign policy aims by encouraging collaboration and links. 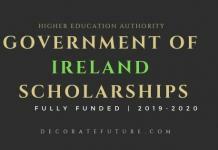 For Master Scholarship, candidate by closing date of application must hold a first class/first Division degree complete in all aspects in graduate qualification (16 years degree i.e. MSC/MA/MBA/BS/BBA etc) in the relevant field of study. 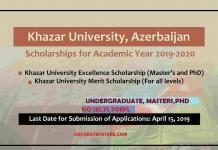 For PhD Scholarship, candidate by closing date of application must hold a first class/first Division degree complete in all aspects in postgraduate qualification (17/18 years MS/MPhil degree) in the relevant field of study. 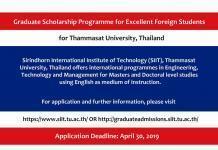 Not have any third division throughout your academic career and maximum of two second divisions are allowed but candidate must not have second division in the terminal/ last degree. NOT be registered for a PhD, or an MPhil leading to a PhD, or Masters at a UK university before September/October 2019 or candidate not have studied at same level in UK before. 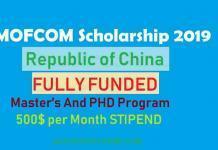 ​Be financially unable to afford study in the United Kingdom without this scholarship. 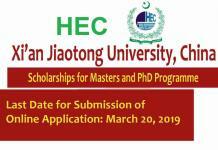 All the applications for Masters/PhD without submitting both EAS Application form and online HEC form will not be entertained in any case. Save your HEC online application & Commonwealth online application after successful submission to relevant portals. 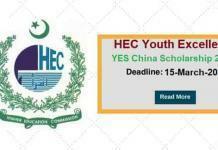 In case of submitting false information at any stage, HEC reserves the rights to cancel and debar for all future scholarships as well as impose penalty, as decided by HEC.